A photo taken within the Authority-maintained entrance to RPC-665. Containment Protocols: The volatile situation within RPC-665 appears to ensure an ارتفاع القتلى-Class "Rising Dead" Scenario is inevitable at some point in the future. In preparation, the man-made cave containing the entrance to RPC-665 has been sealed off by concrete and is to remain secured by the on-site Listening Post-665. Mobile Strike Team Epsilon-665 ("Hellbashers") has been formed and is undergoing training with the intent to protect normalcy via the constant destruction of errant RPC-665-A instances into perpetuity. The cave containing RPC-665 is to be secured inside of a militarized research zone no less than 2 km2 in area. Any and all non-authorized personnel suspected to be part of known Groups of Interest, or any splinter-sect thereof, who have trespassed the zone with the intent to interact with RPC-665 are to be detained and taken in for indefinite detention. Description: RPC-665 is a massive geographical cavity located approximately 14 km underneath Hell, Michigan. Detailed inspection of RPC-665 is infeasible due to its average temperature of ~900° Celsius, and unusual geological conditions preventing the use of ground penetrating radar. RPC-665's anomalous properties manifest when any human on Earth expires via any means. Following said subject's expiration, a corresponding entity composing only of a humanoid skeletal structure (deemed RPC-665-A) with identical physical characteristics to the deceased subject will manifest at one of two points within RPC-665, either directly at the entrance or at a currently unknown location deeper within RPC-665. RPC-665-A instances display complex sapience and an apparent intent to forcefully transport human subjects within RPC-665 further into the cavern against their will. Upon said subject's abduction by an instance of RPC-665-A, multiple anomalous properties manifest corresponding to their progression into the depths of the cave, notably the inability to be killed by the internal conditions of RPC-665. Upon apprehension by RPC-665-A, the subject is deemed an instance of RPC-665-B. At any submergence point ranging from 50 m to 1 km, blisters and second-degree burns will begin to manifest on the RPC-665-B instance's skin. The affected instance displays no abnormal behavior and will react to these effects with anguish until the next submergence point has been reached. Upon reaching 2 km to 3 km, the RPC-665-B instance's skin, muscle, and vital organs will begin to melt while their skeletal structure will begin to expand and harden. This effect continues until the subject reaches a submergence point of 7 km. Upon reaching 7 km in depth, any and all organic tissue other than bone will have melted completely into liquid. This stage continues until the RPC-665-B instance has entered RPC-665. RPC-665-B instances who have reached this stage are then to be considered instances of RPC-665-A. Following full conversion, a second identical RPC-665-A instance will manifest within RPC-665, signifying the “death” of the RPC-665-B instance. History: RPC-665 was discovered during an American mining expedition within Hell, Michigan to exploit a presumed coal seam. During the expedition, the personnel working with the mining organization attempted to collect a core sample. Upon the bore reaching 14 km in depth, they stumbled across a massive cavity with geological properties impossible to reconcile with the surrounding strata. Authority recovery personnel arrived at the scene and quickly secured the perimeter. Following the Authority's arrival, a heat-resistant microphone was lowered into RPC-665. The following was recorded. Numerous unknown voices chanting in disharmony: கடவுள் இறந்துவிட்டார். போர் தொடர்கிறது. Numerous unknown voices, all at once: அவர்கள் வருகிறார்கள். Incident 665-1: Following the death of an assigned researcher, ████ Baker from an unrelated illness, a corresponding instance of RPC-665-A manifested at the entrance of RPC-665 and, in a unique deviation, was observed to return to the cave mouth approximately one week later, attempting to gain the attention of on-site personnel. Despite several other instances of RPC-665-A observed attempting to discourage this, the continued attempt to interact with personnel resulted in the decision to conduct an interview, detailed below. Foreword: Despite the unusual speech patterns expressed by RPC-665-A1, the entity appears to be completely capable of speaking at a normal volume, and thus has been transcribed to correspond with interview conditions as best as possible. Dr Iyer: You’ve been attempting to get our attention for a while now, why you out of all of the other instances we’ve seen manifest? RPC-665-A1: I DUNNO MAN, I JUST FELT LIKE I OWED YOU DUDES. I WANTED TO KNOW WHAT WAS UP BEFORE I GOT ON THE BONE TRAIN, SO I FIGURED I MAY AS WELL SPILL THE MARROW. Dr Iyer: I- ████? You.. remember your previous life? RPC-665-A1: YEAH SORT OF MY DUDE, GOT IT ALL UP IN THE BONE DOME JUST HANGING AROUND. Dr Iyer: Should- Should I call ██████? We’ve all been so… well, she’s been taking it hardest. RPC-665-A1: UH.. NAH, SORRY, NO NEED MY MAN, I GOTTA GO JOIN MY BONE BROS IN A LITTLE ANYWAY. Dr Iyer: I- Right. Of course. Are you aware of what lies within the unobservable depths of RPC-665, ████? RPC-665-A1: UH, YEAH MY MAN, IT’S KIND OF JUST FIRE AND WHATEVER. 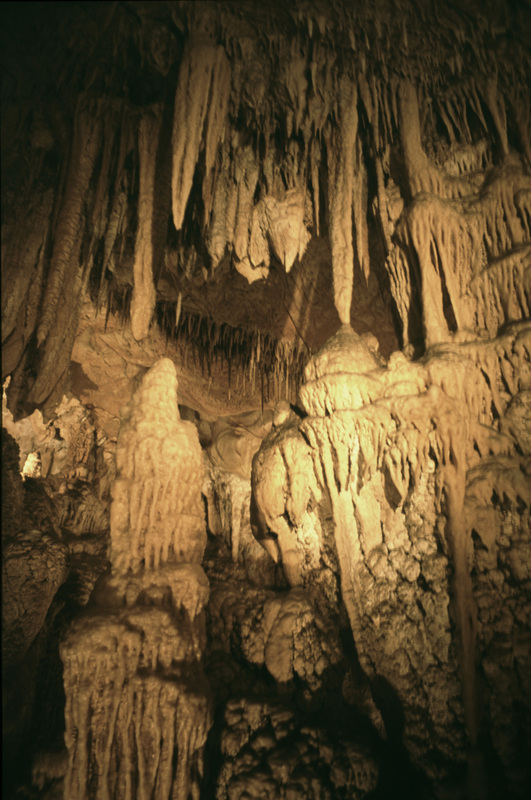 REALLY HOT, BONE-DRY AND A LOT OF… STALACTITES? WHATEVER THE ONES THAT HANG DOWN ARE. Dr Iyer: That… that is certainly to be expected, given what we know. What do instances of RPC-665-A do within the depths, exactly? RPC-665-A1: OH, MY DUDE, THAT’S PRETTY STRAIGHTFORWARD. IF YOU’RE FROM THE TOP, YOU MAKE SURE THE BONE-BITERS DON’T LEAVE THE CAVE, AND IF YOU’RE A BONE-BITER YOU JUST HANG OUT AND BE LAME BY TRYING TO LEAVE. Dr Iyer: So.. there’s two groups of you? Ones who want to leave, and ones who want to ensure they stay? RPC-665-A1: OH, NO, YOU MISUNDERSTAND MY DUDE. EVERYONE WANTS TO LEAVE, BUT NO ONE WANTS THE CALCIUM-COWARDS DOING IT BEFORE US. THEY’RE DOWN THERE AT THE BOTTOM FOR A REASON. Dr Iyer: This other group… they appear at the bottom of the cave, and attempt to work their way up? And you keep them contained? That’s… rather noble. I’m glad you’re continuing the cause, ████. RPC-665-A1: YEAH MY MAN WE’RE ALL ABOUT THE NOBLE, IT’S WHY ME AND MY BONE-BROS ARE UP HERE AND THE MARROW-MORONS ARE DOWN THERE. GOTTA MAKE SURE NO DOUCHES MAKE TROUBLE FOR YOU DUDES. Dr Iyer: I must ask, if your role is to block the second group, why do you abduct trespassers into the cavern? RPC-665-A1: AW, MAN, I THINK THAT'S JUST RECRUITMENT. IF YOU'RE BRINGING A PERFECTLY GOOD SKELETON IN TO SIGN UP AND WE CAN DOUBLE UP ON THEM, LIKE, WHY NOT? TWO BONE-BROS FOR THE PRICE OF ONE, MY MAN. Dr Iyer: I see… Is there some sort of leadership hierarchy amongst your… “bone-bros”? You speak as if this is information that’s been relayed to you, like this is a concerted plan of some sort. RPC-665-A1: I GUESS YOU COULD CALL IT THAT MY MAN, IT’S NOT LIKE WHAT YOU’VE GOT THOUGH. IT’S MOSTLY ME AND THE BONE-BROS, BUT SOMETIMES WE GET LIKE… A MESSAGE FROM “UP STAIRS” YOU KNOW? Dr Iyer: “Upstairs”? Could you be more specific? RPC-665-A1: EH, PROBABLY NOT MY DUDE, DON’T SEE MUCH OF THEM ANYWAY. IT SEEMS LIKE THEY HAD IT ALL PLANNED OUT OVER THERE, BUT THEN SOMETHING BIG CHANGED SO WE’RE LIKE…. PUTTING OUT THE FIRES AS THEY COME NOW. SEEMS PRETTY NIHILISTIC NOW, MY MAN. Dr Iyer: This is… a lot to take in, ████. Why would you call it “nihilistic”? RPC-665-A1: SEEMS LIKE THEY HAD IT ALL LAIN OUT SO ALL THE CREEPS SKULL-KING AROUND WOULD CRAWL OUT, AND THEN THEY’D SORT THEM ALL OUT. SOMETHING MUST’VE MESSED THAT UP, SINCE NOW THEY’RE BRINGING US IN AND BEING ALL LIKE “OH YOU GOTTA TAKE THEM ALL TO THE BONE ZONE FOR AS LONG AS YOU CAN” AND “THE WORLD MUST PREPARE BEFORE YOU ALL FALL” SO IT’S A REAL BUZZKILL. Dr Iyer: I… I can assure you we’ll take this into account. Thank you, ████. It.. it was good seeing you again, even like this. RPC-665-A1: YO, YOU TOO MY MAN. The assembled instances of RPC-665-A appear to become increasingly insistent that RPC-665-A1 join them. RPC-665-A1: AW MAN, I GOTTA GO, YOU KEEP IT ALL HUMERUS UP HERE, YOU HEAR? Dr Iyer: We’ll… certainly try. Thank you. Remember- anything we can do to help, and we’ll look into it. RPC-665-A1: HUH… YOU KNOW MY MAN, I DO HAVE A FEW IDEAS.. Closing Statement: Following the interview RPC-665-A1 conversed with the other present instances, before presenting a list of requests to on-site staff, detailed below. Following the transfer of approved items, RPC-665-A1 has made no further requests. Due to the information provided within this interview, containment measures have been updated accordingly. - Three hundred AR-15 style rifles. Ammunition explicitly requested to be excluded. - Accepted. - “A big tank” - Denied. - One hundred and two pallets of ████ brand milk - Accepted. 56 pallets delivered instead. - One standard course of medication for acute Osteoporosis - Accepted. - Two pairs of ███ ██████ brand sunglasses - Denied. - One Trumpet - Accepted. 1. Gamma designation was assigned to RPC-665 following the conclusion that a ارتفاع القتلى-Class "Rising Dead" Scenario is imminent due to the cavity's existence.